Weather Wise Exteriors has been serving McHenry County and the surrounding areas since 1981. Remodeling is what we do best - we specialize in exterior remodeling. We promise to use only the finest materials and the most careful workmanship for your home or office. 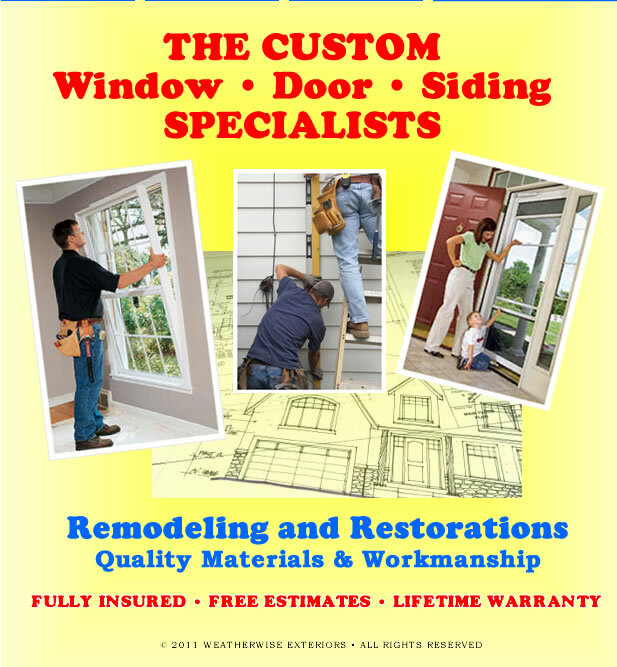 If you have a particular size in mind for your windows or doors, we will custom fit our product to meet your needs. We are skilled in all name brands and styles ? even older or more obscure models. In addition, all work is fully insured and comes with a lifetime warranty. Call us today for your free estimate. Your new exterior awaits!